Locked Out? Emergency Locksmiths To The Rescue! 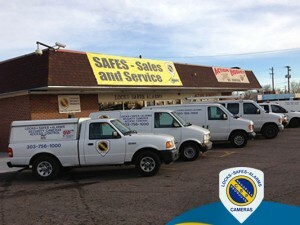 Colorado Security Products has emergency locksmiths in Denver and the Metro Area ready and available 24 hours a day, 7 days a week. From the north, south, east and west, there is no distance in Colorado that we won’t travel to help a customer in a pinch. Our emergency locksmiths in Denver are fully equipped with all the necessary tools to get you into your home, vehicle or business fast. Each emergency locksmith is trained in lock repair and trouble-shooting problems with broken locks, old locks or and other typical lock issues. With 35 + years experience in the field, there is no lock issue that we haven’t seen before and conquered. We Have Emergency Locksmiths On Call To Accommodate YOUR Busy Schedule! We understand the importance of a quick response, and know that our customers have busy schedules, places to be, things to do. We understand the discomfort and impatience of waiting out in the cold, waiting in the heat, or just plain waiting. We strive to arrive to each and every emergency call as quickly as possible, with fantastic customer service. We provide our emergency locksmith service in a quick, professional and friendly way, with the goal of ensuring that our customers are completely satisfied, and hopefully will call us back for future business – not only for locksmithing issues, but for all home security and business security needs. We have been in business since 1977, and have a brick and mortar location, a storefront that you can enter and be greeted with a smile. We are not a ‘fly-by-night’ locksmith service. All of our emergency locksmiths in Denver and the Metro Area will arrive to your location in a company vehicle, with a company logo and a company shirt. We are licensed, bonded and insured, and have set prices so you will know what to expect upon our arrival. There are no hidden surprises, or hidden costs or fees like a lot of the locksmiths out there. We pride ourselves in being your trusted emergency locksmith, and have a solid customer base – many that have followed us for years – and many new, that will follow us for years to come. Contact us at (303) 756-1000.